A new online poll published by research company SurveyMonkey indicates a narrow one-point lead for the Leave campaign ahead of Thursday’s EU referendum (48/49%). This is what SurveyMonkey’s latest result means for Business Insider’s live chart. 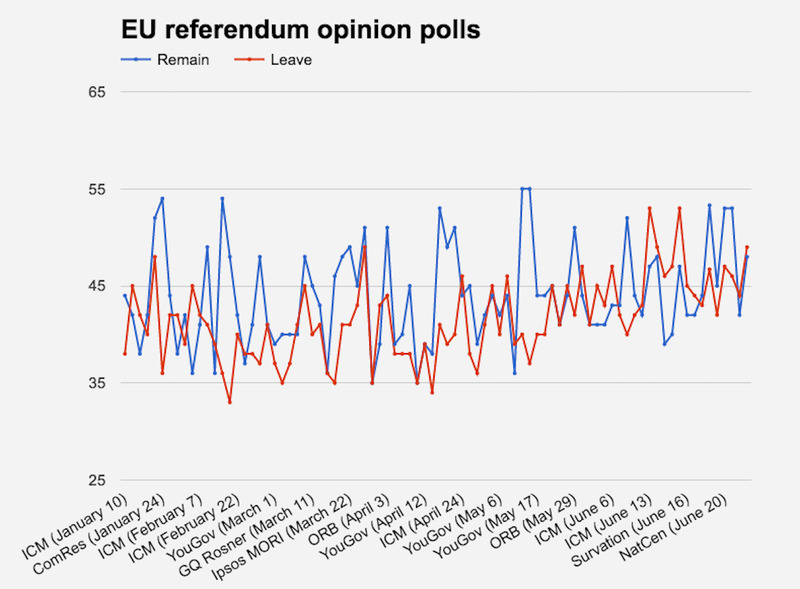 Remain has clawed its way back having trailed in the majority of polls published last week. 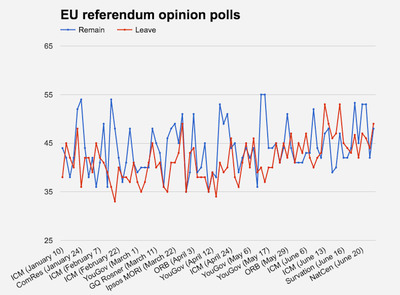 SurveyMonkey’s latest survey follows a handful of new polls that have been more encouraging for the Remain campaign. Despite this, however, SurveyMonkey’s research confirms that a Brexit remains a major possibility. David Cameron and other remain campaigners have every reason to feel nervous ahead of Thursday’s vote.